Albariño is a white-wine grape originating in, and still primarily from, Galicia—the northwest corner of the Iberian peninsula, parts of which are in Spain and parts in Portugal (where the grape is known as is known as Alvarinho). Till fairly recently, Albariño was an obscure variety, little known outside its home; that was chiefly because transport to and from that region was minimal and slow. With the advent of improved railways, the grape came to the attention of the world market, and it is now generally considered one of the dozen and a half or so of world-class white wines (those in boldface in the drop-down varietals lists above). While it is characteristic of Iberian wines to be blends, known by regional names, Albariño is so well regarded that it is usually bottled as a 100% monovarietal. It is widely felt that the best Albariños come from the Rias Baixas area. Classic winemaking for Rias Baixas Albariño does not involve contact with wood; but in recent years, some winemakers have been experimenting with oak-barrel aging for at least some of their Albariños. The practice (as well as a trend to less-dry renditions) is controversial: some feel it makes a better wine, while others hold that good, bad, or indifferent, whatever results is not "real" Albariño. There are obviously no definitive answers, but be aware of those basic stylistic differences when approaching samples of this varietal, and don't judge all by a few. Factoid: Albarino is the smallest white-wine grape in the world. "The grape is noted for its distinctive aroma, very similar to that of Viognier, Gewurztraminer, and Petit Manseng, suggesting apricot and peach. 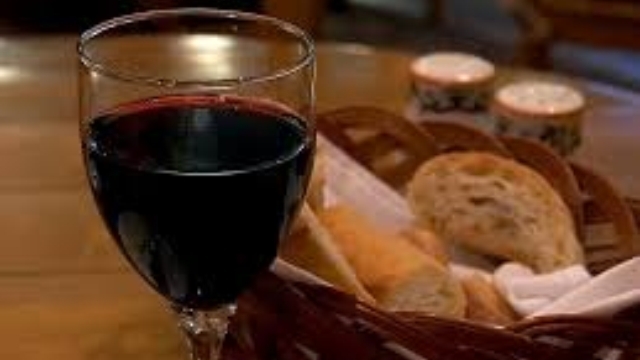 The wine produced is unusually light, and generally high in acidity with alcohol levels of 11.5–12.5%. Its thick skins and large number of pips can cause residual bitterness." "It has been compared to Riesling for its minerality and bracing acidity; to Viognier, because of its fleshiness and peach/apricot character; and to Pinot Gris for its floral bouquet. When grown in highly acidic, granitic earth, Albariño yields a more mineral-driven and structured wine. In sandy soil, however, the Albariño grape gives a softer, rounder wine. . . . It is also one of the few Spanish white grape varieties produced as a varietal wine on its own and designated on labels. Most often fermented in stainless steel for early drinking, Albariño is a versatile grape. It responds well to malolactic or barrel fermentation and maturation to create wines of wonderful complexity and aging ability." "But what are the classic characteristics of Rias Baixas Albarino, then? This is debatable but probably: a very aromatic nose of something like peaches and apricots; decent palate weight; but not broad or flabby; and a lovely, fresh, zippy acidic finish." "Fresh, aromatic, light. Notes of peach, melon, pear, and sometimes even apricot countered by a crystalline minerality. The vibrant acidity is occasionally smoothed out with the slightest of petillance. 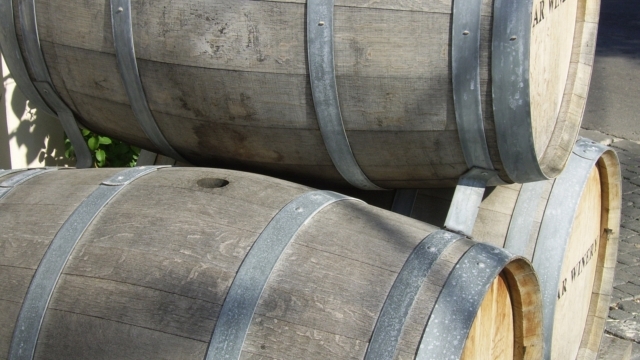 Some producers are experimenting with oak-aging, but this is certainly the exception so far." "Typically, its wines are very sweet-smelling, often described as having scents of almonds or almond paste, apples, citrus, lime, peaches, and flowers or grass. Albariño shares many of the same terpenes also found in the other aromatic varieties: Gewürztraminer, Muscat, and Riesling. Albariño wines are particularly suited to seafood due to their bracing acidity (Jancis Robinson calls it "razor-sharp."). This grape's inherent tartness should be embraced in youth, for wines made from albariño do not age well, and the vibrant aromas begin to noticeably fade within months of bottling." "Albariño can age. And by that I mean not only that it can hang on for a few years after being bottled, but that it can develop." "Part of its attraction is its salinity: you can almost taste the salty sea spray that mingles with refreshing, honeyed flavors of apple, citrus, and stone fruits. While the wines are not necessarily simple, they are direct with great aromatics, plenty of luscious flavors and crisp finishes." Jancis Robinson has observed of Albariño that "In my experience, although it's unusual to find a bad one, it can be difficult to find a really outstanding one." Discussions of Albariño do not—as they often do with other wines—produce any obvious few prime choices. Reviewers' opinions are all over the lot. Nevertheless, any of these should prove a good specimen of the type. ♦ There is a slight pepper character in this wine with its ripe fruits and fresh acidity. The result is a balanced wine that is not just about fruitiness but also full of character and with some complexity. 90 points, Editor's Choice. ♦ [S]uper fresh, sorbet nose. In the mouth there’s no shortage of fruit or bite, with juicy greengage and yellow plum as well as tropical notes (attractive sour pineapple and green mango). Punchy; very good. ♦ The measure of this wine’s concentration and complexity is how good it tastes on day two when honeysuckle, passionfruit and a green edge of hops jumps out of the glass. Very expressive, and on the palate, which displays very succulent passionfruit, lychee and white peach. With crisp, persistent acidity to the finish, it has great appeal for lovers of New Zealand’s powerful Sauvignon Blancs. ♦ Everything they [Quinta de Soalheiro] do seems to be impeccable, they have been organic, or at least in conversion, since 2006 and the attention to detail really shows. Their wines are beautifully textured and concentrated, but this does not come from skin contact as it often does in Vinho Verde, but from the use of natural yeasts in the fermentations, which give longer fermentations that produce smoother results. Even this, their basic wine is stunning – 91/100 points. ♦ I particularly liked the crisp, citrussy Soalheiro Alvarinho 2010 from an estate that follows biodynamic practices. Perfect for simply grilled fish. Bodegas del Palacio de Fefiñanes "Albarino de Fefiñanes"
♦ This is consistently one of my very favourite Albariños . . . It's spritzy, perfumed and refreshing with that Riesling-like crispness that you get in the best Galician whites, notes of pear and stone fruit and a long, satisfying, palate-tingling finish. The taste of (green) Spain. ♦ Complex, expressive, herby and lemony. This is really delicious with beautiful fruit expression and lovely complexity. A stylish, elegant white. ♦ [O]pens aromatically with green apple, pear and some sweet floral notes reminiscent of the native white frangipani. The palate has a rich round flavour of rockmelon, yellow flowers with hints of rocket and mint. . . mineral tones and zippy acidity. ♦ [A] fabulously easy wine to drink with lots of depth and satisfaction. No big flavours jump out, it’s silky smooth . . . and a second bottle (in its distinctive Riesling style bottle) beckons after the first. ♦ If you buy a bottle of Fefiñanes, don't rush to open it. Owner Viscount Juan Gil is eager to dispel the myth that Albariño should be drunk young. 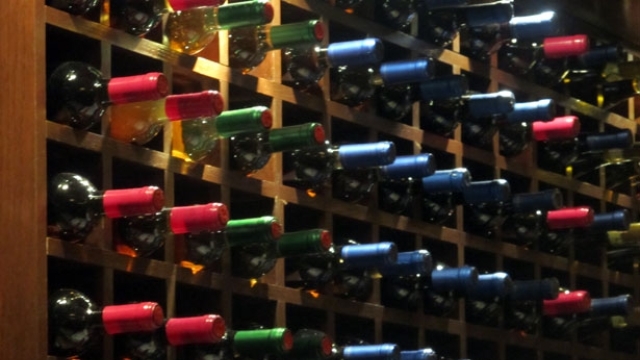 ♦ The climate provides acidity and freshness to the wine. Lovely balance, crisp fruit flavor spiked with minerals of wet stone. Finishing clean and soft. ♦ Pale straw in colour, the sweet aromatics are on straight away: white peach, musky white flowers, apple blossom, a slight bit of sea spray with a suggestion of lemon. The first taste immediately has me interested, a luxurious oily texture, flinty, minerally, complexity, great balance and length. A big hit of flavour: apples, white peach, minerals and flint, and pink musk sticks. ♦ [A] truly incredible wine. Light gold in color with beautifully full and rich aromas of fresh stone fruits, particularly peaches, apricots, and nectarines. Additionally, notes of apples and honey exude from the glass. On the palate similar fruits pass elegantly over the tongue with abounding freshness and minerality. A long and persistent finish – with a slight bitterness on the back of the tongue – complete the experience. ♦ Long skin contact has given this wine both its name and its richness. It is packed with ripe apple and green pear flavors that are filled out even more by the tannic, tangy texture that comes from the grape skins. The wine is still young, a rare Vinho Verde that needs aging. 92 points. 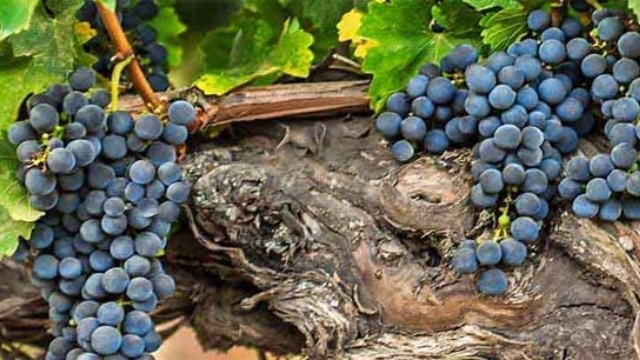 ♦ [T]his wine sees 6-12 hours skin contact (depending on vintage; care must be taken not to overdo the extraction of tannin and colour, which comes from the skins). On the nose it’s edgier, with hops and tomato leaf as well as floral notes. Subtler (and a little closed) in the mouth, this is a tight knit Alvarinho with a salty, mineral, piquant character, which is heightened by its fresh acidity. Needs time, but promising. ♦ Unlike the majority of its peers, the Contacto undergoes 12 hours of maceration in contact with the grape skins. This yields a white wine of unparalleled richness and mineral depth, which still retains all of the region's signature thirst-quenching brightness. We wouldn't blame you for drinking it by the pool, but this Vinho Verde belongs at the dinner table. Full of lush tropical fruit--imagine freshly cut pineapple and melons--it is an ideal companion to any crustacean. ♦ Superb complex wine with delicious fruits, pithy lime and grapefruit and excellent length. ♦ Anselmo Mendes is one of Monção’s top producers, mixing his legacy as the son of a local grower with a flair for experimentation. For this bottle, he turned to a red winemaking process, leaving the grape skins in the must briefly after crushing, for a touch of tannin, structure, and intense floral notes. The skin contact makes this wine age-worthy, too. With a creamy texture, and complex aromas that run from lemon juice and pith to subtly fruity citron, with tart unripe peach, bay leaves, and hay mixed in, the wine also channels a sweeping saltiness and minerality. This golden-hued Vinho Verde is built to last for up to a decade. ♦ Tasting a 10-year old Alvarinho ‘Contacto’ made with a short skin maceration was a profound moment. Besides its real freshness and minerality, there was terrific texture, fragrance and delicate yellow fruits. Mendes has been experimenting with large oak barrels, skin contact, lees ageing and older vines since the late ‘90s. Today, he is King of Vinho Verde! ♦ This pure, chiseled Albariño is light but right on the nose, with lime and stone aromas. Crisp yet comfortable, the palate delivers nectarine, apple and other familiar white-fruit flavors. A stony finish with crisp acidity and a leesy accent is lasting and attractive. 90 points. ♦ Emerald straw color. Bright, complex aromas of lemon, nectarine, and nut with a supple, tangy, dry-yet-fruity light-to-medium body and an effortless, appealing, medium-length green earth, minerals, and cornichon finish with no oak. A very pure and appetizing albariño with fine balance and a nice sense of place. ♦ Somehow, and for just $10, it shows off albarino’s varietal citrus fruit in the front (a lemon-limey thing? 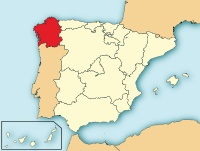 ), tropical fruit in the middle, a long finish, and even a bit of the salty tang that legend says comes from the grapes being grown so close to the sea in the Rias Baixas region in Galicia on the northwest coast. The La Cana could use a little more acidity to balance the tropical fruit, but then it would cost [more]. ♦ Citrus, walnuts, and shredded fruit peel on the nose. Mmmm super well made, good balance and good richness. Great complexity and very well made Albarino. Good complexity for this varietal, with nutty fruit and finish which reminds me of grapenuts with sliced kiwis, bananas, and peaches for breakfast. 91 points. ♦ This wine tasted just like I expected, and hoped, it would; signature Albarino that’s just crisp and vibrant. Citrus fruit, some apricot and apple, pear notes, with strong acidity; the wine is super tarty in the mouth but not too sweet, with a pretty good finish. There’s a touch of wood on the finish that adds a nice element. All in all, a solid Albarino for $10, and one that white wine fans should give a look. ♦ Ripe Alvarinho gives a wine that is rich as well as crisp and dry. This wine, with its hints of apricot as well as citrus fruits has a piercing line of acidity along with the tangy texture and ripe aftertaste. 88 points. ♦ A Vinho Verde that goes well with baked fish. You have to drink it with a good friend. The Aveleda Alvarinho is a wine with a very strong colour, dark gold. Smell a bit like the lemon grass. Is a with a harmonious flavour. 4 stars (of 5). ♦ Bright pale straw colour with lemon-green hues. The bouquet is softly intense with attractive aromas of passionfruit entwined with greengage fruit, lifted with subtle esters, exotic florals and herbal elements. Dry to taste, softly concentrated fruit flavours of tropical fruits and herbs flow smoothly on the palate. The mouthfeel is finely textured and slippery from refreshing acidity which enhances the fruit interest. The flavours lead effortlessly to a long and sustained finish with clear fruity notes. This is a soft and smooth, slippery dry Portuguese Alvarinho with an open core of fruitiness. 17+/20 (4 stars / 5). ♦ Alvarinho is one of the most notorious [sic] white grapes in Portugal and this particular one smelled like nectarine and apricots with zippy flavors of pineapple and passion fruit for a pleasing finish. ♦ [E]xhibits exotic notes of pineapples, white peaches and honeysuckle, fresh acids, and medium-bodied, intense, concentrated, alluring flavors. ♦ Green-gold color. Bright aromas and flavors of orange, pear and peach are enlivened by a stony element. Tactile and dry, with attractive candied citrus and honeysuckle qualities carrying through a zesty, mineral-accented finish. ♦ The nose on this wine is a floral mix of crisp lime, tangerine and green apple that's as fresh and clean as a soft breeze after a spring shower. Sweet citrus fruit fills the mouth and blends well with the notes of clover, herb and spring greens. The finish is long and lively with a pleasant minerality and a kiss of food-friendly, cleansing acidity. This wine is an excellent value. ♦ [A] classic example of a Rías Baixas Albariño. Delicate white floral aromas (think honeysuckle) hover on the palate, with distinct mineral notes of granite. The wine is not oak aged, so you won’t get any butter or toasty aromas. It’s light-bodied with a crisp acidity. ♦ Bright straw color. Fresh melon and tangerine aromas are brightened by notes of quinine and chalky minerals. Light-bodied, focused honeydew and citrus fruit flavors show good concentration and a hint of saltiness. Finishes tangy and long, with a refreshingly bitter quality and a touch of fresh orange. But be warned: this is a scarce item indeed.